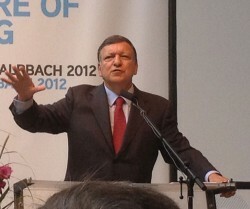 “We need more integration, not less.” Barroso says and refers to three major “storms”, from which Europe suffers. First, there is the debt crisis of the states. The second impact would be the financial sector crisis. The third problem would be the shrinking competitiveness of several member states.